The exectutive leadership for the ILRNHA is listed below. The members of the ILRNHA Advisory Board are listed here. To learn more about the local sub chapter in your area, visit the Chapters page. Gloria Campos was born on September 23, 1957, in Leon, Nicaragua, where she grew up. She attended college in Bogotá, Colombia, from 1975 thru 1978, pursuing a degree in Psychology. Due to a political unrest that lead to a civil war in her native country and the triumph of the guerilla Sandinista in July 1979, Campos went into exile with her newborn son. First they went to Guatemala, then to Mexico where she was reunited with her husband, Ramon, who was finishing his college degree in Monterrey. They lived in Mexico for seven years. In July 1986 the Campos family obtained political asylum status and came to the U.S. where they were reunited with the rest of their family. In 1995 Campos became a naturalized U.S. citizen and has been involved in the political process ever since. 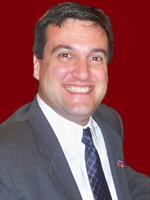 In 1999 Campos became active with the Republican National Hispanic Assembly (RNHA) and quickly developed the Southern Illinois chapter of this organization and became its chairman. In 2001 her involvement became greater when she was elected National Committeewoman for this organization. At the national level, she was elected Midwest Representative and reelected successfully at the National Convention in Houston, Texas, in 2003 and in Washington, D.C., in 2005. As a Midwest Representative, Campos was responsible for the formation of the chapters in Minnesota, Wisconsin and Michigan. In 2004 she was elected as a Delegate for the Illinois 12thCongressional District for the Republican Convention in New York City. In April 2005, during the Illinois primaries, Campos was elected Precinct Committeeman. In 2008 Campos was an Alternate Delegate at Large to the Republican National Convention in Minneapolis, MN. At the present time she is the National Committeewoman for the Republican National Hispanic Assembly of Illinois, National Vice Chair of the Latino National Republican Coalition, a PAC dedicated to education and campaign training for candidates and the Hispanic leadership around the nation; 2nd Vice chair of Jackson County Republican Party, IL Federation of Republican Women, Jackson County Booster Club, member of St. Francis Xavier Hispanic Ministry in Carbondale and St. Andrew Church in Murphysboro, IL. Campos is active in Murphysboro with many community events. 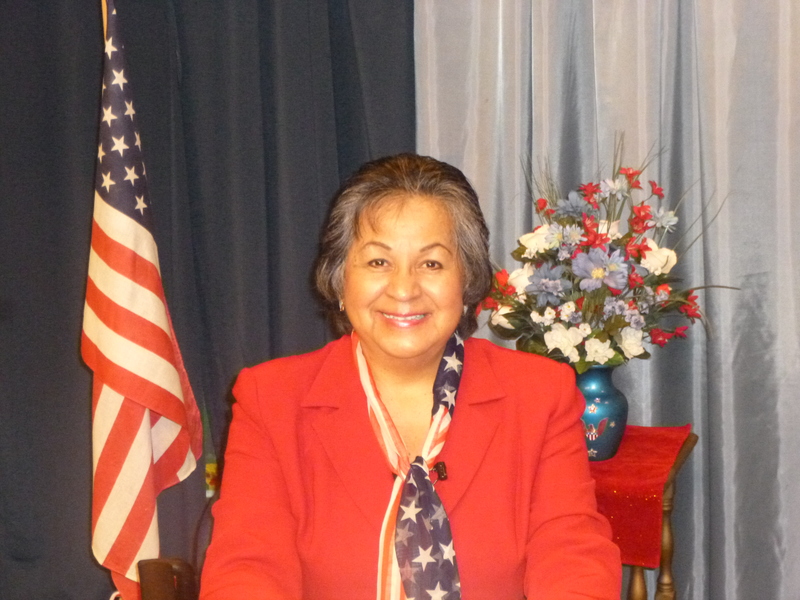 She is past President of the Republican National Hispanic Assembly of Illinois, served as a Board member of the University of Illinois Extension, Jackson County and Southern Illinois Soccer Club. Campos has been married to Ramon since 1978, and they live in Murphysboro. They have four children, Ben, Ramon Jr, Diego and Isabella; two daughters-in-law, Allison and Jennifer, and three grandchildren, Charlie, Noah and Ava. They also have their beloved rescued pets, Chucha the dog and Gata (Pootter) the cat. 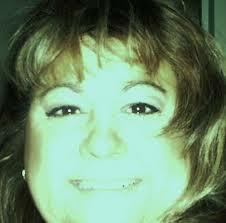 She and Ramon own a small business, Happy House Cleaning Services, which they have operated together since 1988. Once Voted Rockford Illinois Woman of The Year! John Guevara was born in Chicago. 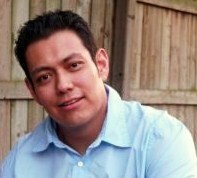 John Guevara graduated from Princeton University with a degree in Political Science in 2001. He and his wife Cira were married on October 6th, 2001. John was active in local politics and became Chairman of RNHA Winnebago Co. chapter in 2009, and was elected to the Winnebago County Board November 2nd, 2010. He looks forward to helping the RNHA IL bridge the gap between the Republican Party and the Hispanic community as we work together to return prosperity to and expand conservatism in the great state of Illinois. Attended both parochial and public schools. Graduated B.A. Communication, B.A Criminal Justice, M.A.ED Dominican University, U.S History, World Studies, Loyola University, Member Phi Alpha Theta. Legal Studies, John Marshall Law School. 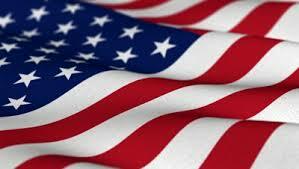 Political consultant and Campaign Strategist in Chicago Illinois, specializing in Hispanic Markets. Born and raised in the 5th District, North side of Chicago. My mother Linda is from Texas, my Father is from Puerto Rico. Both met here in Chicago and stayed to raise their 7 children. I went to both Private and Public schools graduating from James G. Blaine Elementary school located on Southport in 1974 and Lake View High school in 1978. My interest in serving others began at a very young age. I recall my first campaign effort elected to the Student Council at Blaine where I worked on raising money for school projects. In high school, every year I campaigned and continued my involvement in Student Government. In 1981, I assisted 5th Chicago City workers to stand up to an unfair Alderman in the Lake View neighborhood. I spoke for the Aging constituents as well as those who were threatened with job loss. We succeeded in addressing the unethical tactics and opening the Aldermanic seat for a newcomer. Rafael has been called a “fresh, diverse face and strong Conservative voice” as well as, the “ZAP the IL GOP‘s cardio system needs” (Illinois Review ). While the “zap” may be his own doing, Rafael credits his Cuban-born mother and father for his face and his voice. When his parents fled Castro’s Communist Cuba in the late 1960s, they escaped with no money, no jobs and no certainty. They left poverty, tyranny and oppression of Communist Cuba for the hope of freedom and opportunity in America. When their son was born a few years after they arrived, they instilled in him a deep gratitude and admiration for that same freedom and opportunity afforded in this country. A lifelong Republican, Rafael has been active in politics since 2000 and was president of the Republican National Hispanic Assembly of Illinois (RNHA) from 2008-2012. An elected precinct committeeman in York Township, he is actively involved in the York Township Republican Committeemen’s Organization and the Illinois Republican Party.